Tell Uncle Vito this is the place for Bertucci’s menu prices. Bertucci’s is an Italian restaurant that is an expert in brick oven cooking. They started in Massachusetts in 1990 and now has grown to 89 stores located throughout the United States. Their restaurants reflect the local appeal of the community and are accommodating to all their diners. Below are the latest Bertuccis’s menu prices. 20 oz. Coca Cola, Diet Coke, Sprite, Dasani, and Vitamin Water. Bertuccis’ specialty pizza is made of homemade tomato sauce and extra mozzarella cheese. For an additional $2.99, customers can avail of a side regular salad or Caesar salad. Another specialty pizza is the barbecue pizza, which has barbecue chicken marinated in a smoky hickory BBQ sauce topped with caramelized onions and mozzarella cheese. The Roman Party Pizza is 18 inches and is perfect for big groups and available just for takeaway food. Their calzones are excellent, and a must try is the Tuscan Vegetable Calzone which is filled with Brick oven roasted eggplant, zucchini, artichokes, tomatoes and Asiago. Eating at Bertucci’s is an excellent experience for all diners who desire to get a morsel of their fire baked artisan pizzas. Apart from the authentic Italian food, this restaurant offers Panini and focaccia sandwiches, seafood, meat, and chicken dishes. 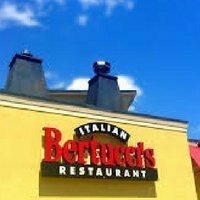 For more information about Bertuccis’s locations and latest updates, visit their official website.